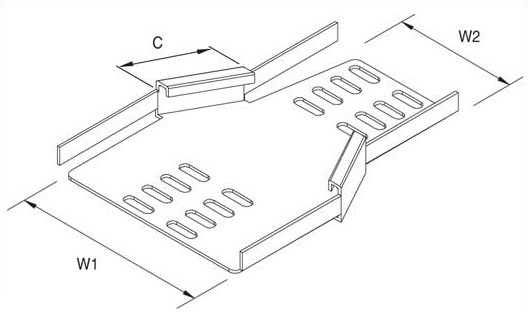 25mm Medium Duty Reducers, are used for connecting cable tray lengths of differing widths. Available in a Pre Galvanised finish. Other size variations available on request. To connect cable tray of differing widths.